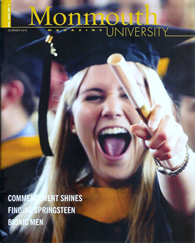 Congratulations Noelle McNeil for graduating with honors from Monmouth University May 2010!!! Educators: Looking for the perfect presentation on bullying; depression; risk taking behaviors? Look no further. 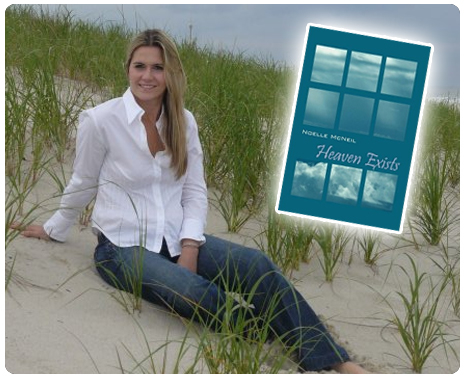 Noelle McNeil, author of Heaven Exists, and survivor of a traumatic brain injury is a 25 year old woman who speaks from the heart to audiences of all ages about her experiences. 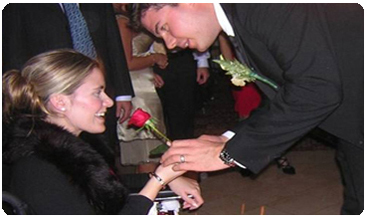 Noelle uses a Power Point presentation to demonstrate her journey, from the coma, to the wheelchair, and finally to walking and functioning independently. Please check out May 2010 Woman's World magazine for an article featuring Noelle McNeil's amazing story. Channel 9 news also recently did an interview that aired on their news broadcast in April 2010. Watch it on Youtube. Channel 2 news also did a great segment on Noelle McNeils story which can be found on Youtube. Life has changed dramatically for Little Silver resident Noelle McNeil, whose recovery from a near-fatal accident is chronicled in her inspirational new book called Heaven Exists. "I really do feel like an 84-year-old woman in a 25-year-old's body," McNeil said. Her book, "Heaven Exists," was published on Aug. 31 2009 and is available for purchase online at Amazon.com, Barnes & Nobleand Outskirts Press Book Publishers. McNeil now speaks at venues where she feels she can have a positive impact by sharing her story and hopes to pursue a career as a motivational speaker following graduation. Only three percent of DAI victims make any recovery at all, and only one percent makes a significant recovery. Her heartfelt and earnest story of the long and arduous recovery is nothing short of miraculous, while Noelle’s drive, faith and courage are an inspiration to all. 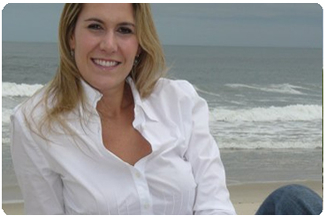 With incredible fortitude, the support and love of her family, and what she clearly believes is some divine intervention, this vibrant young woman walked to accept her diploma when she graduated with honors from Monmouth University in May 2010. Click on video to watch Noelle McNeil's favorite song ~ Travis Tritt "Great Day to be Alive"
Debbie Downie, CFA Women's World article by Kathy Fitzpatrick, "I'm living proof that there's always reason to hope!"